One of my favorite things to eat in the summer, especially when it’s a hot summer, is a salad. I could, and often do, eat one (sometimes two) a day. Salads are one of those dishes that can be a side or an entree, they are refreshing, and they can be light or filling, depending upon what you put into them. I like using seasonal vegetables and fruits whenever possible, too. Luckily, my husband loves them as much as I do, but I’m still working on my fifteen-year-old son… who doesn’t eat anything green. If I had not given birth to him myself, I’d swear he wasn’t mine, since I love all things green and I’ve never met a vegetable I didn’t like. 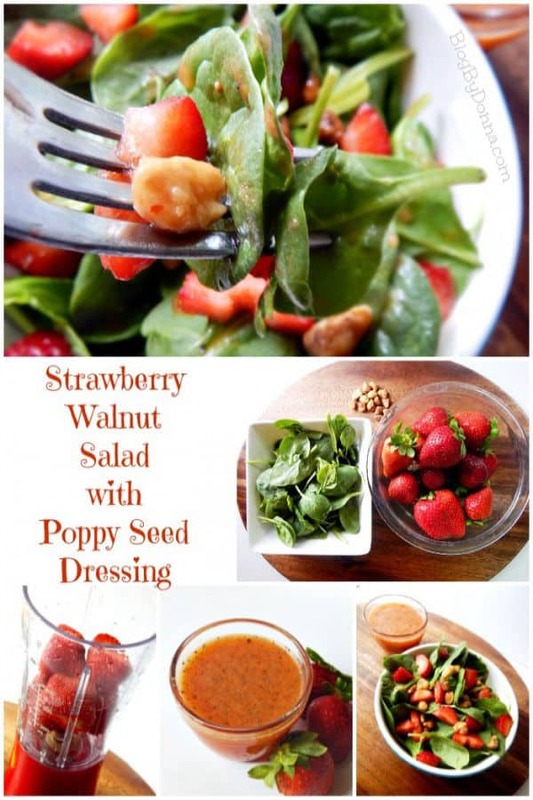 My favorite right now is a strawberry walnut salad with a homemade poppy seed dressing. It’s healthy, not too expensive since it doesn’t require too many ingredients, and the poppy seed dressing lasts for up to 2 weeks refrigerated. For dressing start by adding vinegar, sugar, dry mustard, and sugar together. Add in the olive oil in a slow stream while constantly blending on medium speed. Add in poppy seeds and blended strawberries. Other foods that signify summer to me are corn on the cob, lean meats and vegetables grilled on the grill, watermelon and cantaloupe, fried chicken, and hot dogs and hamburgers. I just love summer foods. Another of my favorites is this Toasted Corn Macaroni Salad. 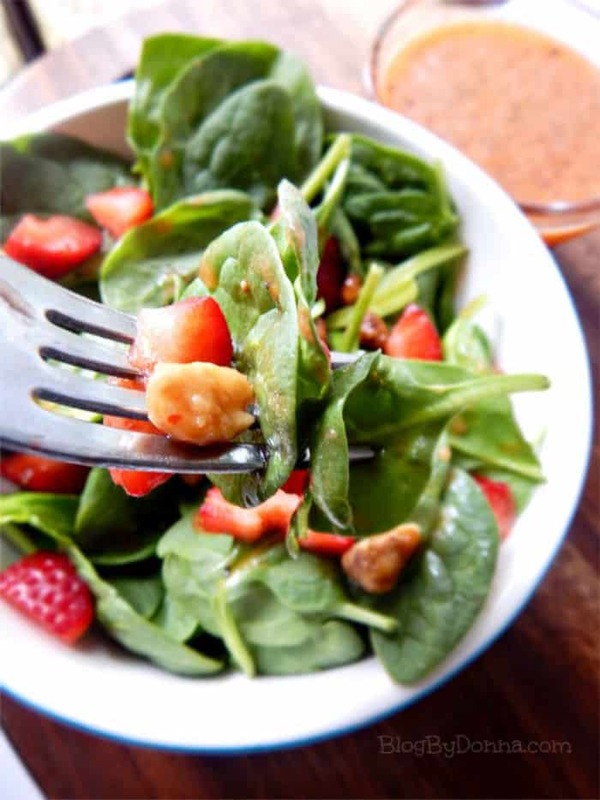 This strawberry walnut salad would be perfect for a picnic, cookout, barbecue, or Fourth of July gathering. And this Orange Sizzle Drink would make a great refreshing drink to go along with this salad. If you like this post, please take the time to pin it for later and follow all my projects and finds here on Pinterest.